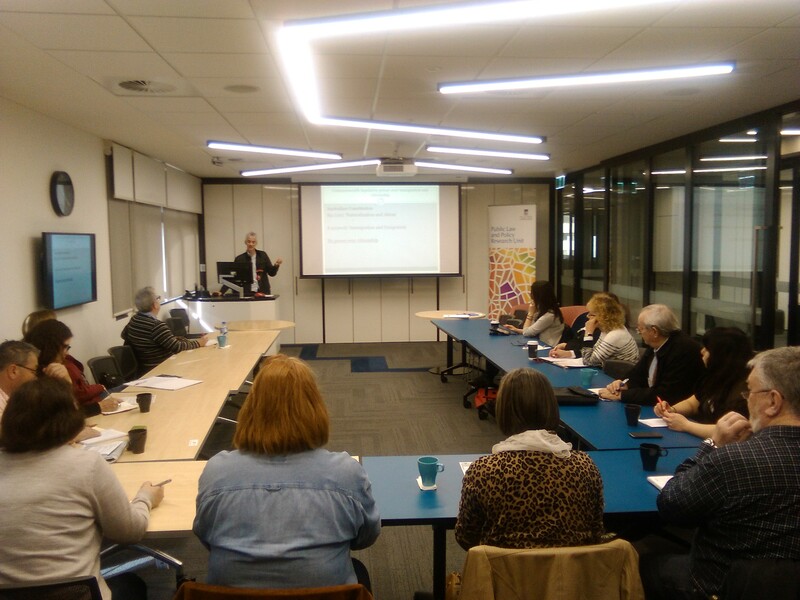 Earlier this month the PLPRU, in conjunction with the Adelaide Law School, hosted a professional development day for high school Legal Studies teachers. 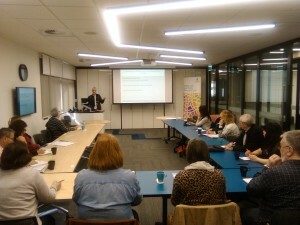 Twenty teachers from private and public schools across South Australia attended the workshop. This is the second year the Adelaide Law School has organised this event and it is hoped the School will continue to make it an annual event. The workshops sought to provide Legal Studies teachers with a professional learning opportunity through a discussion of rapidly-changing and emerging areas of law. The workshop also examined ways to develop Legal Studies students’ research skills and conduct online legal research. This year’s workshop included sessions from the following PLPRU members: Associate Professor Alex Reilly (Making Sense of Immigration and Citizenship Law); Dr Joanna Howe (Can an Employee’s Use of Social Media Warrant Dismissal? ); Dr Rebecca LaForgia (Current Inquiry into the Commonwealth’s Treaty Making Process); and Dr Adam Webster (Developing Student Research Skills: Legal Research Using Online Resources). The workshops are organised by Dr Adam Webster with the generous support of his colleagues. Legal Studies teachers wanting to be added to the mailing list for future events should email Adam Webster (adam.webster@adelaide.edu.au). Associate Professor Alex Reilly presenting at the Legal Studies Teachers’ Professional Development Day. This entry was posted in Government & Citizenship, Research and tagged administrative law, constitutional law, Public Law and Policy Research Unit (PLPRU), teaching. Bookmark the permalink.